The winners are decided in an open vote by GCR subscribers worldwide from a short list decided by the editorial team. Garrigues partner Alfonso Lamadrid is an expert in cartel investigations, horizontal and vertical agreements, abuse of dominant position, concentration control and State aid. He has represented clients in more than fifty cases before the General Court and the Court of Justice of the European Union in competition and State aid matters. In October 2018 he was also one of the six nominees for the IBA Outstanding Young Lawyer Award, which covers all jurisdictions and practice areas. 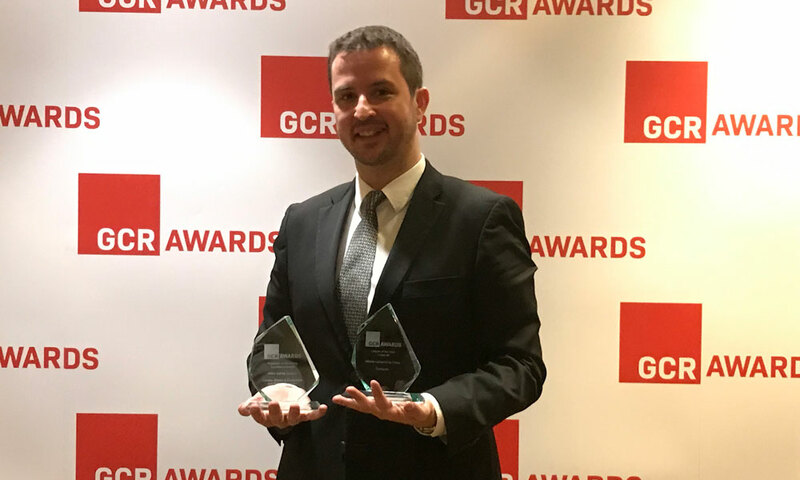 In addition to the award, the Garrigues EU and Antitrust Law Department was one of the four finalists in the European Firm of the Year category. GCR highlighted Garrigues’ reputation as an international practice and the notable role it has played in some of the most significant competition cases of the day. The department operates on both sides of the Atlantic, through Garrigues’ offices in Europe and Latin America. Susana Cabrera, partner and coordinator of Garrigues’ antitrust practice, stated that “this type of recognition is a source of pride for the whole department and motivates us to continue being the antitrust firm of choice in all jurisdictions in which Garrigues is present”.